Congratulations! You have military PCS orders to the Gulf Coast of Florida! 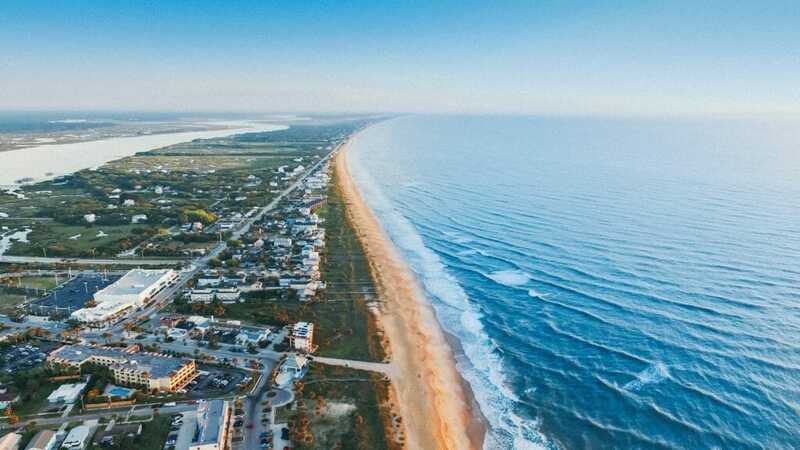 Home of the Emerald Coast and several military installations, the Gulf Coast of Florida is rich with history, southern living, great beaches, big football rivalries and more. But what are the need-to-know things that military families should be aware of before they throw out the parkas, and don a new pair of flip flops for their big move? 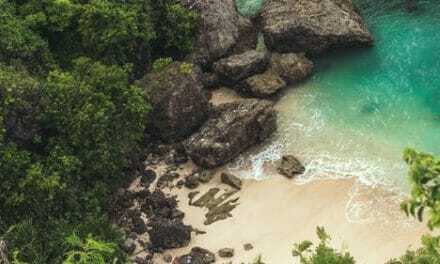 Below is a list of a few things to consider, some cool facts about the area, and some customs and traditions you may just fall in love with during your time here! Moving to this part of the country means you need to be aware of Hurricane Season, which runs from June 1st to November 30th. 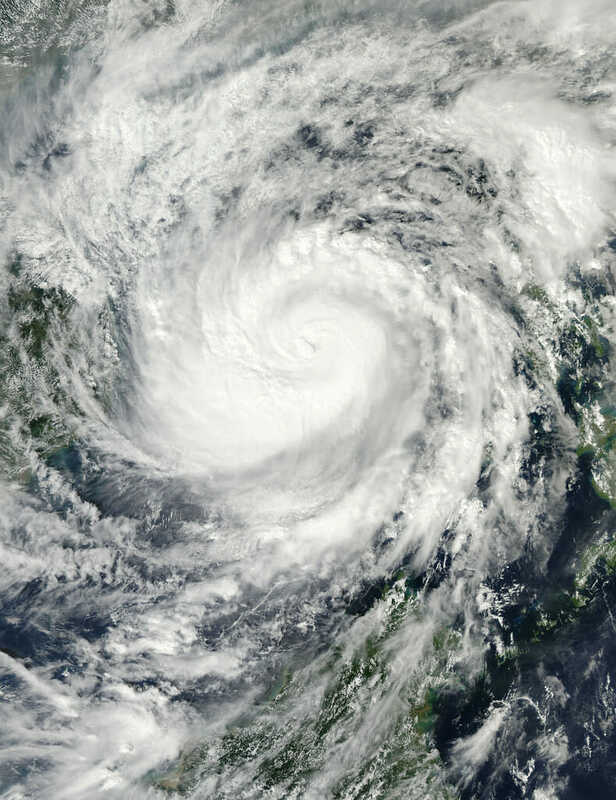 It should not be a source of major panic, but hurricanes and even tropical storms can be life-threatening and cause a lot of damage to your home. You can visit the National Weather Service website for information on safety and preparedness. Having knowledge about what to expect and what to do in the event of a storm is vital, and will help ease your mind if a storm is headed in your direction. Additionally, if you do not currently have renters insurance, now is absolutely the time to secure it. No matter where you live, you want to protect your belongings, but living in this area means you NEED to do so. 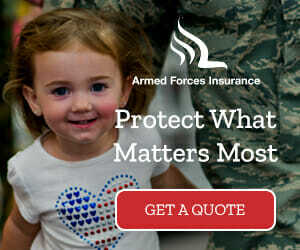 Visit our PROUD partners over at Armed Forces Insurance for more information on protecting your possessions. Great news! There is no state tax in Florida! While service members and their families are not required to change residency when they move due to military orders, many military families choose to do so in order to save money when tax time rolls around. For all of the information about federal laws regarding residency status for military families, please read more about the Spouse Residency Relief Act here. Okay, now… breathe. Yes, there are a lot of bugs here. 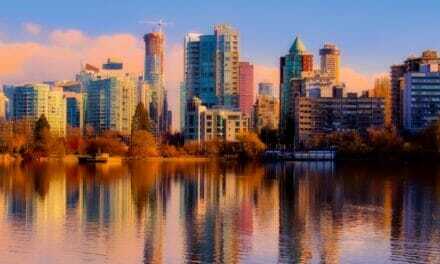 It’s one of the pay-offs of being so close to those gorgeous beaches and other bodies of water. Go ahead and add pest control into your budget; in many areas this is done very affordably on a quarterly basis and can also help control things like mosquitoes and ants in your yard. Trust us: being chased by a palmetto bug the size of a chicken nugget at 2am shouldn’t be on your PCS bucket list. Also make sure that you visit a veterinarian upon arriving to make sure your pets are protected from tics and fleas. Then put bug spray and citronella torches on your shopping list! The abundance of fresh and salt water in this area means you may have the opportunity to see many animals you may have never seen in the wild before. There are 500 species of birds here, many species of amphibians, turtles, geckos, snakes, alligators and of course fish. You may also see mammals like the armadillo, opossum, raccoon, manatee or white-tailed deer. The Gulf Coast of Florida is known for a relatively mild climate. While the summers here can be hot and long, the winters are very mild. During the summer months you will get plenty of the sunshine this state is known for, but afternoon thunderstorms are also the norm. The biggest complaint that many folks have here is the humidity, which is present year round but can be stifling when the weather is warm; the air can be thick and the humidity can make it feel much warmer than it is. Most families here will pay very low electric bills during the winter with an increase in the summertime. Staying hydrated and using sunscreen year round is essential. Soft, pearl-white sandy beaches with clear emerald and blue waters are within a short drive from all of the installations here. Some even have beaches on base! 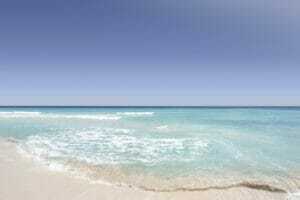 As a result, the most popular beaches (Destin, Fort Walton Beach, Pensacola Beach) are major tourist attractions. This is great for the local economy, but not always pleasant in terms of traffic and crowds. Many local residents plan beach activities during off-peak season (before Spring Break and after Labor Day) or during weekdays. Locals also have their own locations that may not be as high-traffic, so make sure to ask your neighbors for their favorite spot! The national/state parks tend to have less traffic because they don’t have restaurants and other tourist attractions, and they also tend to be more family friendly than Panama City on Spring Break, for example. They also have great restroom facilities and picnic areas. And a big bonus? All Active Duty military members and their families, Reserve and National Guard can get a FREE annual pass to any of these parks! This is most definitely a place to start a foodie bucket list! From down-home southern cooking, to the best seafood you may ever have the pleasure of consuming, there are many traditions surrounding food in this part of the country. Barbecue is a big deal down here, and the folks in this area will absolutely tell you it is the best in the world! You may be driving down the road on a summer afternoon and see a truck with a painted sign that says, “boiled peanuts” and wonder what in the world those are. They are a delicious, salty delight that must be eaten straight out of the paper bag they come in. Sweet tea is served in every restaurant here and your waitress may look at you with a side eye if you order “iced tea” and then wonder why it gave you a cavity at the table. Down here we cook biscuits and gravy, collard greens, pound cakes, grits, fried fish, fried chicken, fried okra and fried tomatoes. Yes, fried food is common here! Crab and crawfish boils are a frequent favorite in the area and a MUST try while you are here. 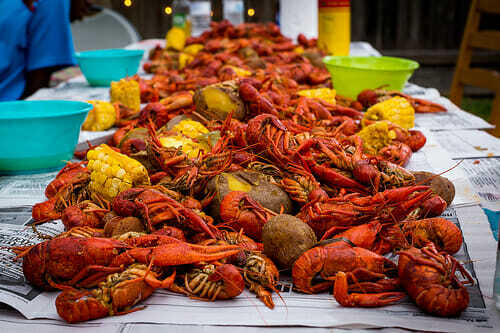 Usually a group of friends and family will gather around a picnic table covered in newspaper or plastic, pour out big pots of steaming fresh crawdads, crabs, sausage, potatoes and corn on the cob and go to town! Wash it down with a nice cold beer and it makes for a perfect spring or summer afternoon! 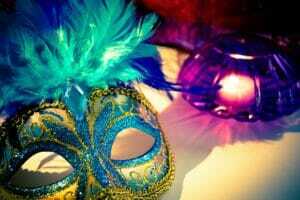 It’s not just a New Orleans affair, although that is what most people associate this pre-lenten festivity with. Mardi Gras parades are a big deal in this area; elaborate floats, costumes, bands and lots of loot in the form of moon pies (yes, you heard that right), toys, candy and of course beads. Many of these parades are family-friendly and kids look forward to them every year. Every grocery store in the area sells King Cakes which are oval shaped cakes that taste like a mix between a coffee cake and a french pastry but come with a whole lot of history and tradition. Decorated in purple, green and gold to signify a jeweled crown, this cake is a Christian symbol that has been a part of the Mardi Gras tradition for many years. Wait, isn’t this Florida? Well technically, yes. But many folks here refer to this area as LA, or “lower Alabama” because of it’s close proximity to that state and the similarity in many traditions. 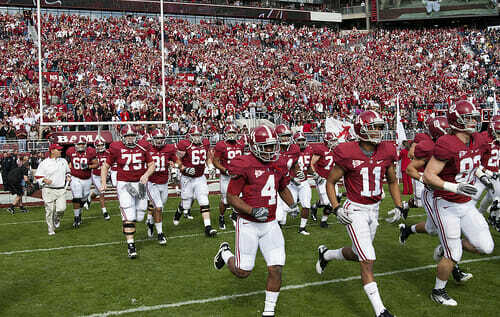 College football is arguably one of the most dominant and loved traditions in this part of the country. But you will be surprised when you walk into a local store and find twice as much Alabama and Auburn gear on the shelves than Florida or Florida State. Not a big football fan? Just find out what team your neighbors are rooting for (there is bound to be a flag in the front yard) and wear those colors at the barbecue they invite you to. You are officially in the south, ya’ll. Where the cashier at the grocery store will call you “honey” and everyone, no matter their age, addresses you as “ma’am” or “sir”. We don’t call them shopping carts around here, we call them “buggies” and any soda you consume is a “Coke”. The accents are thick, the pleasantries are plentiful, and the kindness is heart-warming. Folks around here know their neighbors well, they put a high value on family and friends, and they will give you the shirt off their back. Not fond of hurting the feelings of others, we use the phrase “bless your heart” often. What does that really mean? Well, sometimes it is used to comfort a child who has a nasty cold and is in need of tender words… but it can also be used to soften the blow of a not-so-pleasant observation. 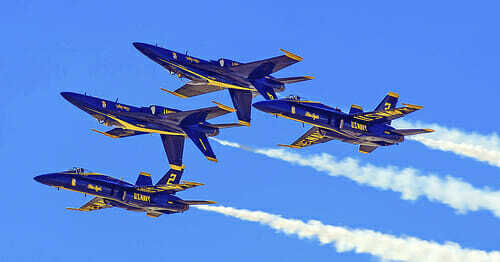 Naval Air Station Pensacola is the home of the famous Blue Angels; The U.S. Navy Flight Demonstration Squadron. Last year, the Blue Angels celebrated their 70th year, having performed for more than 450 million spectators since 1946. 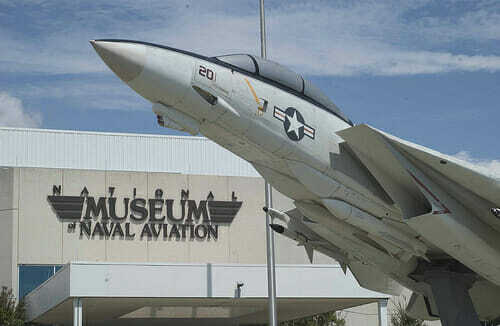 You can see one of their shows or even go to the National Naval Aviation Museum at NAS Pensacola where visitors can watch them practice in a special viewing area. There are also certain dates when the team answers questions and signs autographs after these practices. In addition to the gorgeous beaches, the State of Florida is also well-known for it’s many amusement parks. There are quite a few within a days drive of all of the military installations in the area. Orlando is about a six hour drive from Pensacola and is home to Disney World, Universal Studios and Sea World. Make sure to check out your installation’s ITT (Information, Tickets and Travel) office as many of the attractions have significant military discounts available. Definitely take advantage of the close proximity to the happiest place on earth! There are many military installations located on the Gulf Coast of Florida. 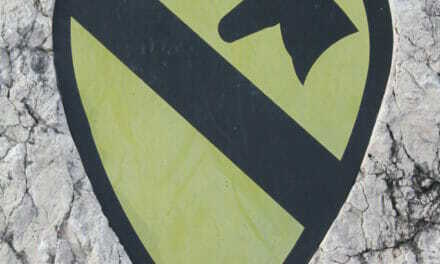 Home to six different bases, this area is rich with military history. It is also an extremely military-friendly area in general, as there are many active duty, former and retired military members and their families living here. Many military families choose this area as a retirement location because of the close proximity to many military amenities and medical facilities. Eglin Air Force Base is located in Valpariso which is close to Fort Walton Beach. On base housing is available for all ranks. It has a large Exchange and Commissary, and is home to one of the busiest medical facilities in the Air Force, Eglin Regional Medical Center. There are no on post schools, but there are four elementary schools, two high schools and one middle school within close proximity. Hurlburt Field Air Force Base is located in Mary Esther which is also close to Fort Walton Beach. It is actually part of Eglin AFB and is only separated from that installation by 11 miles. Housing is available to all ranks either on Hurlburt Field, or at Eglin AFB. Although smaller than the facilities at Eglin, they do have an Exchange, Commissary and medical clinic. There are no on post schools, but there are elementary and middle schools in the area. High school students attend school in Fort Walton. Tyndall Air Force Base is located in Bay County, 12 miles east of Panama City. There is privatized base housing available, a large Exchange, Commissary and medical clinic. There is an elementary school on base, and 42 schools in the Bay Area. The area is part of the School Choice program which means families can choose between the 18 elementary schools, six middle schools, five high schools, two multi-grade schools, three special purpose schools, six charter schools and one adult/technical school in this county. Naval Support Activity Naval Base Panama City is located in Panama City. There is privatized housing available, and there is an Exchange and Commissary on this installation. The medical clinic is a branch of the Pensacola Naval Hospital. There is no on base school, but since the base is in Bay County, the same school choice is available as listed above for Tyndall AFB. Naval Air Station Pensacola is located in Pensacola. Privatized housing is available for all ranks, but waiting lists can be long for this installation. There is a large Exchange, Commissary and Naval Hospital not located directly on base, but a few miles away on Hwy 98. Depending on which housing area you live (if on base) your kids may attend one of two elementary schools or one of two middle schools. All high school students living in base housing will attend Escambia High School. If you live off base, in Escambia County, there are 34 elementary schools, nine middle schools, seven high schools and 19 alternative schools available, depending on zoning. Naval Air Station Whiting Field is located in Santa Rosa County, close to Milton. There is privatized housing available, but it is not located on base. This installation has a small Exchange, Commissary and medical clinic. There is no on base school, but there are 18 elementary schools, eight middle schools and six high schools in the area. Many military families live in neighboring towns in close proximity to the small town of Milton depending on their school preference. Corry Station (Center for Information Dominance) is located in Myrtle Grove. which is a neighborhood of Pensacola. Base housing is available, and this installation uses the NAS Pensacola Exchange, Commissary and Hospital located on Hwy 98 in Pensacola. There is no on base school, and students will attend Escambia County Schools, depending on location as listed above under NAS Pensacola. Welcome to the Gulf Coast of Florida! 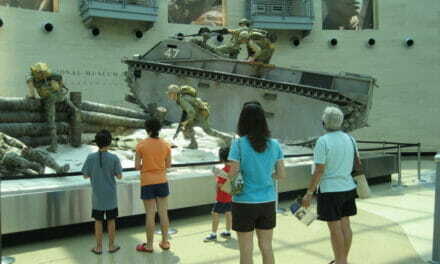 We hope you enjoy this stop on your military journey! Check out our Pinterest board “Gulf Coast Favorites” for more info about the coolest places in the area! PCSgrades is a free ratings and review platform created BY and FOR military and veteran families to help with must-solve relocation problems such as neighborhoods, base housing, realtors, mortgage lenders, schools, and more! NextUnaccompanied Orders – To Go or to Stay? Nice article except, the gulf side of FL also has other posts like Mac Dill AFB in Tampa area. Beautiful area for military families, less southern accents around here and fewer hurricanes but still a few tornadoes. Football’s pro team of the Buccaneers, College teams like the Gators, to baseball’s RAYS, how about hockey teams too. Home area of several Pro baseball training camps. There are huge concert arenas, and gorgeous Art museums, close to Bush Gardens, and Disney/Orlando theme parks, Legoland, and NASA isn’t a long drive either. And the beaches are just as beautiful. The rest of your story is the same in Florida as a whole like bugs, humidity, great restaurants, etc. And ALWAYS get renters insurance, no matter where you go. Here’s to the future PCSers!! Great point… we will, at some point in the future, do a piece specifically on that area because it is so different in so many ways! Thanks for the great comment! I’ve always thought that Florida would be an amazing place to spend a military tour. The beaches alone sound so amazing! California beaches (where we are) are so beautiful but the water is always freezing. It really is a great place… and the beaches are amazing! me with my task where I was stuck as well as really did not recognize exactly what to do as next action. Anticipating your following articles! Hi there mates, its fantastic article on the topic of educationand entirely defined, keep it up all the time. 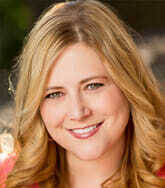 I have joined your rss feed and stay up for in search of extra of your great post.